The Guardian published their quarterly guide to nightlife this last week. Included is a review of several bars and restaurants. 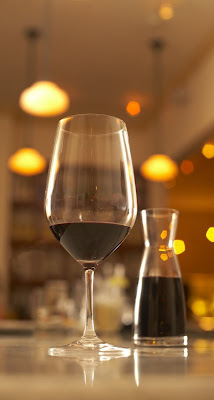 I shot images for Uva Enoteca and Gitane. The former is a wine bar in my neighborhood, Lower Haight and the later is off Union Square. Uva Enoteca has a hidden quiet wine bar feeling. The food is worth checking out as well. My wife and I split the verdure of celery root, pomegranates and sage along with the pizze of caramelized onions, prosciutto cotto and fresh mozzarella. The pizza was larger than I expected and quite delicious. The space is quiet and the staff is friendly and helpful. It's a place to check out when you're in the mood for a wine bar in the city. 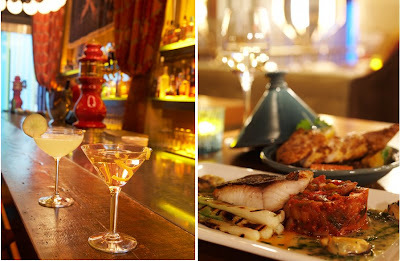 Gitane is a beautiful bar tucked off Claude Lane and Sutter. The bar is enticing and has quite a selection of fine spirits. I did not have a chance to sample any of the drinks I photographed as I was on a time constraint. However the ambiance and knowledgeable staff will draw me back for an Old Fashioned or a good rye whiskey on the rocks.